This Greek souvenir bag reminds of holidays, beaches, sun, Summer fun and brings back some of that island aura. When you can’t go on holidays to get a souvenir… this bag is the next best thing. 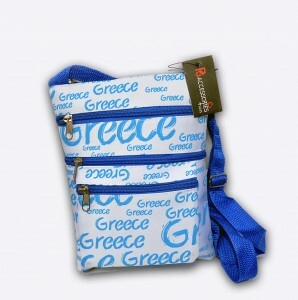 Adjustable strap and many zips that allow organised space in bag.